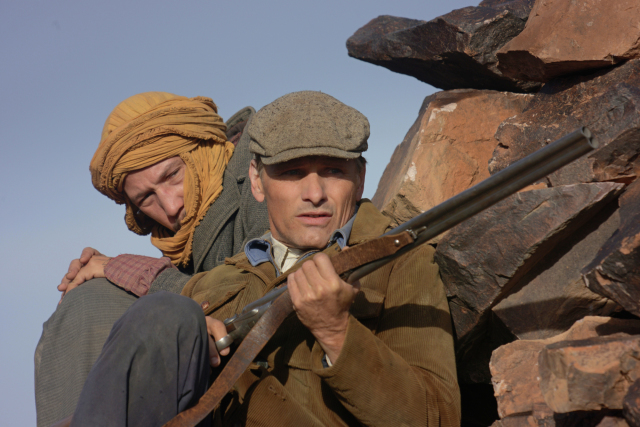 A gritty survival tale, Far From Men tells the story of a reclusive teacher (Viggo Mortensen) who, despite himself, helps a villager accused of murder (Reda Kateb). With minimal exposition, a stark landscape as the backdrop, and two subdued but powerful performances, this film is a wonderful character experience. Far From Men begins with the life of Daru, a quiet French-born school teacher toiling away in an austere existence. Raised in Algeria by French parents and Arab locals he has managed to live a life untouched by the growing conflict. However he is thrust into the middle of a rising civil war when he is tasked with the delivery of a prisoner. The accused murdered Mohamed is a simple man who wants only to do right by his family. Their shared experience forges an unlikely friendship, with Daru forced to leave the comfort of his tiny schoolhouse and rejoin the world of violent men that surrounds him. He is reticent and disgusted by the duty thrust upon him, but becomes involved in Mohamed’s life despite himself. Unable to remain on the sidelines he is forced to act, drawing himself ever more into the conflict. 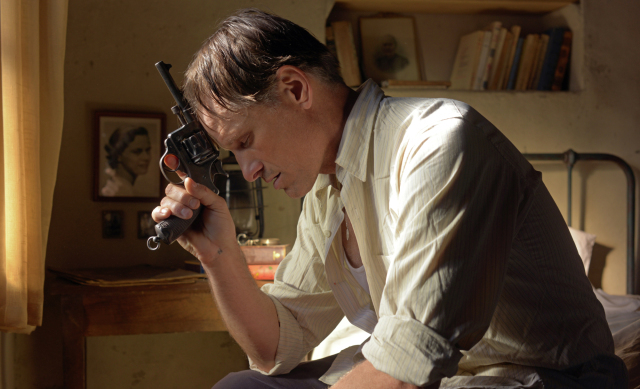 Far From Men (Loin des hommes) is based on the very short story L’Hôte by Albert Camus. I had not read the source story before watching the movie, but I made a point of doing so afterward. I have to say that the two compliment each other very well. The story is a brief atmospheric piece about loneliness and personal responsibility. With a few judicious expansions Far From Men encompasses ideology, a man’s duty, and the idea that during conflict no one can truly remain neutral. It is a masterful reimagining of story that could have otherwise been overlooked in an anthology. As companion pieces they would make for an amazing undergrad lit paper. I look forward to a rewatch one day.